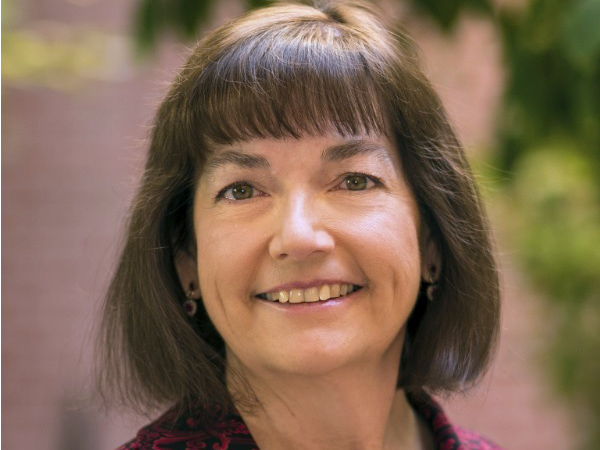 With the help of her $20,000 portion of a $3 million gift to the Center for University Education Scholarships (CUES), University of Arizona College of Nursing professor Cheryl Lacasse, PhD, RN, AOCNS, plans to build an innovative online, virtual health care system. It will include sections like administration, integrative health, discovery and evidence-based care, acute care, and palliative care, among others. This simulated learning environment will assist graduate-level nursing students to learn leadership skills through carefully constructed assignments for specific core courses in the Clinical Systems Leadership Masters of Nursing program. Dr. Lacasse’s bold envisioning of online learning had modest roots. “It started out as an idea developed by a colleague and myself as a ‘real world’ example of a health care system to facilitate learning in a senior-level BSN nursing leadership class focused on quality and safety,” she says. Now, thanks to her participation in the inaugural CUES Distinguished Fellows cohort, she’s taking her idea to the next level. This year, six faculty members received a $20,000 CUES grant for between one and three years to work on a project in their discipline that explores new ways to approach teaching and learning. “I’m honored to be part of the first group of the CUES Fellowship,” says Dr. Lacasse. “Collectively, we’re going to have a big impact on the scholarship of teaching at the University of Arizona. They’re looking at our group to pave the way for future CUES fellows and be role models for excellence in teaching scholarship across the University.” The virtual health care system is still in the planning stage, but Dr. Lacasse aims to have a prototype and begin pilot testing by the second year of the project. The initial inspiration for the project was transformed into a multi-dimensional system for many courses in the RN-MSN program. The project will be built in a virtual space so that students in health care professions can engage in active learning about the dimensions of leadership in health care. This project assists students to experience a community-based health care system of the future using principles of simulation, gaming theory, and augmented reality. The ultimate focus is on interprofessional education and providing a platform for students to develop their leadership skills as they work together to solve systems-related health care challenges and ultimately their capacity to have a positive effect on the evolution of health care. The virtual health care system will include many critical dimensions for learning about leading in a complex system. Some dimensions will include critical information for learning and others will engage students in online experiential learning. It will be built to provide a platform for faculty to create assignments that incorporate critical information from a complex health system and inspire students to expand their thinking about specific aspects of systems leadership. Ultimately, my vision is that all professions involved in health care – pharmacy, public health, medicine, business and health law -- can use this platform for intra and interdisciplinary education. How is your system different from other models that are available? Currently, the virtual health care systems in education that are available focus on clinical care delivery. Most of them are focused on interacting with patients and families with chronic conditions and difficult social conditions from the viewpoint of a clinician entering their profession. This project provides an opportunity for graduate students to explore their influence on high quality care through the lens of leadership within a complex health care system. What are your hopes for the prototype? I’m working with a faculty leadership team, online educators, and experts in instructional design and creation of virtual environments. Initially, the prototype will be developed, tested, and piloted at the College of Nursing. Faculty will be consultants for structuring the prototype, and key individuals from colleges with health care tracks will also be invited to share their ideas. Health care is very dynamic and the challenge for this project is to develop an enduring platform for relevant, engaging education for future leaders in health care. In the future, this platform can be used by faculty teaching health care-related leadership courses across disciplines. What is the importance of this kind of technology in education and health care? It is important that online students are intimately engaged with the use of educational technology to enhance the learning experience. Often, this means that students have a more personalized interaction with learning media. The key is to create media that facilitates meaningful learning that can be translated from the virtual learning environment to the real world in health care leadership. It’s also important for individuals to be able to enjoy their learning and to have an active learning experience. The virtual world ensures that diverse students can come together and have similar kinds of experiences, whether it be on a discussion board or in real time or perhaps using some of our other technologies to do video conferencing or asynchronous audio/video discussion to be able to talk about their experience in the simulation area. One media piece involves using an innovation lab to create an experimental healing environment. Students would have the ability to design a hospital room, or a space in a person’s home, or perhaps in long-term care as an optimal healing environment. They would be able to then place the furniture, paint the room, allow for direct or indirect sunlight, decorate with artwork, etc. Currently, the Healing Environments course in the RN-MSN program uses a similar learning activity with only one basic environment. There are several patient case scenarios, including a child, a middle-aged individual, and an older individual with various chronic conditions. And they all have different kinds of chronic conditions. Students chose to create their environment based on one of three specific health care cases. In this activity, students are encouraged to imagine what a person-centered healing environment might look like and how they can facilitate healing by leading small but important changes in the physical health care environment. Why is this project unique/innovative/different? The uniqueness of the project comes from the environment that will be built that’s focused on leadership development for online students experienced in the health professions. Opportunities for learning essential leadership skills in health care by interacting with a simulated, online health care system assists in translating knowledge into the workplace.